Updated through the day to reflect the latest news and to promote the best content we produce. 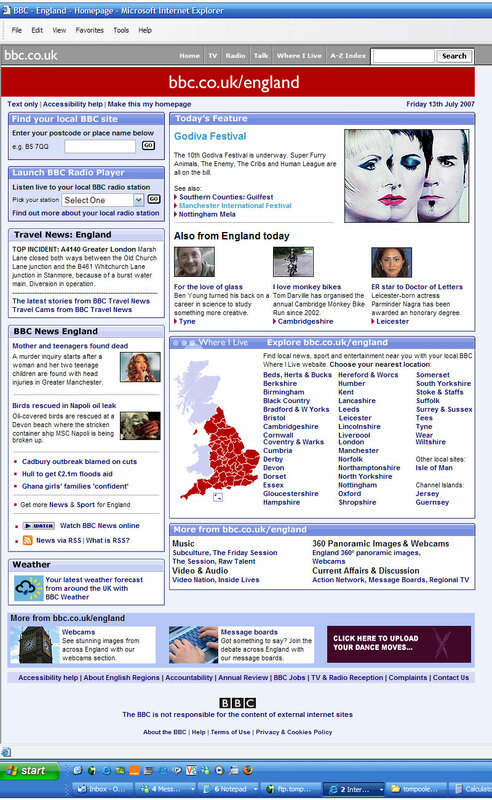 We use the page to give profile and provide promotion for network BBC projects which we provide the local content for, for example Coast BBC2 or Saving Planet Earth BBC1. 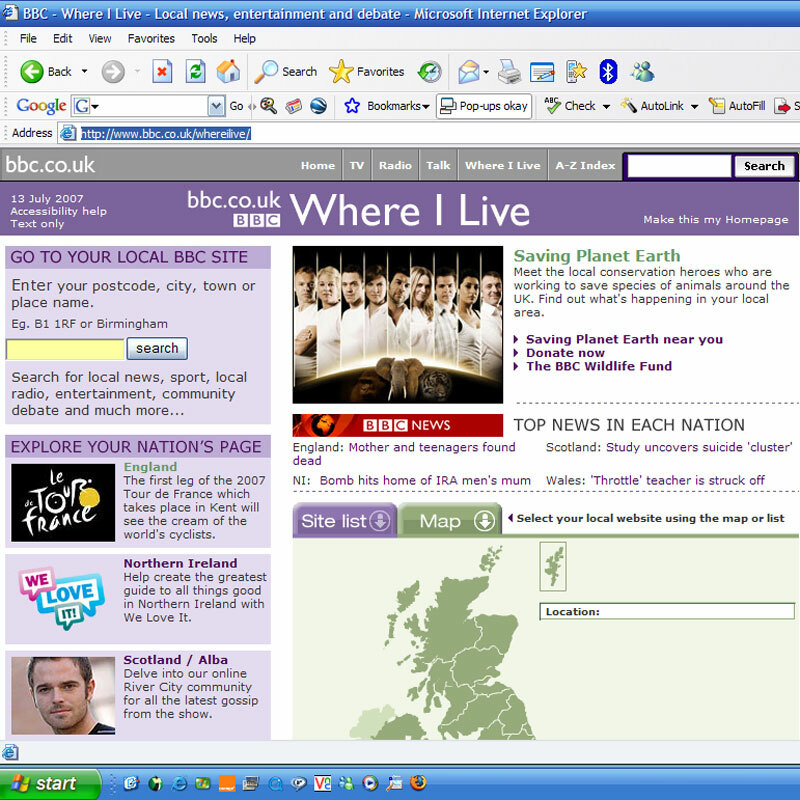 The BBC Where I Live portal page is also our responsibility and promotes the content for Nations and Regions.